External timber surfaces add a touch of class to any home. The only trouble is, outdoor timber weathers and has to be maintained, in order to keep its rich colours and tones. However, there is no need to panic, no need to give up your precious weekends or take time off work, when its time for maintenance of your external timber surfaces the Brentwood Decorative is ready to step up and take the load off your shoulders. We can look after all your external timber needs. We will take care of all the preparation and staining of new structures such as sheds, decks, windows & Doors, pergolas, screens, furniture and fences etc. We are happy to do those small jobs that many tradesmen are not keen to do and we are just as happy to do the big jobs as well. We use only the best quality materials and follow best practice in preparation, choice of materials and application. We are also ready to provide advice on the most suitable product for your specific circumstance, tips on common problems and pitfalls to avoid. We will also show you colour samples to see what your timber will look like when the job is done. With the right processes and materials we can have your new timber structures ready to go in just a few days and all you have to do is get ready to enjoy them. Your outdoor timber structures don’t come cheap. Some of them cost thousands of pounds. This is a substantial investment and it needs to be properly looked after if it is to retain its value and add value to your property. For that reason, we are ready to look after your timber investment well into the future. As you know the outdoors is a less than friendly environment for all surfaces, and timber is no exception. 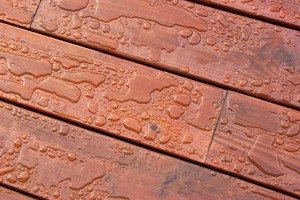 Depending on circumstances most outdoor timber surfaces need regular maintenance at one to two year intervals. It is false economy to delay maintenance work. When maintenance is done within the safe time frame, it can be done quickly, with minimum disruption and cost effectively. When maintenance is left too long the preparation time is greatly increased, more materials are required, more time is spent and, of course, the costs go up accordingly. As part of our commitment to making sure your outdoor timber continues to look terrific and lasts for years and years, as it should, we are happy to visit you each year and provide a free assessment of how your timber is holding up. If everything is going well we will tell you, and will schedule a return visit at a suitable time down the track for a follow up inspection. If you have left your timber a bit too long and it has started to weather and age it’s may not too late to rescue it. Remember our slogan is “Bringing Timber to Life” With the right materials and processes most timber surfaces can be restored to “like new” in many cases, so don’t give up hope. Bringing your timber back to life and looking after it will be a lot less expensive than pulling it down and replacing it. We are armed with the knowledge and knowhow to advise you on what needs to be done and what can be expected. In most cases our customers are amazed at how incredible the transformation is. Just like when coating new surfaces, once the restoration is completed it is important to maintain it, whether it is a deck or outdoor setting or anything else, you need to protect your investment and we are here to help you do just that. So, just as we do when we coat those new surfaces, we will visit you each year and give a free assessment of how you timber is holding up. Our job is not only to bring your old timber back to life but to keep it alive. Although your internal woodwork is not subjected to the rigours of our British weather, it is still having to cope with large temperature fluctuations, knocks and scrapes, and humid atmospheres. All these issues slowly crack and split the protective surface and allow detrition to start. 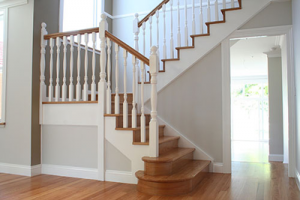 Many timber surfaces such as staircases, skirting’s, architrave doors and floors are usually painted. 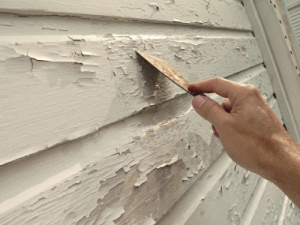 The layers of paint that accumulate form an extremely effective protection. 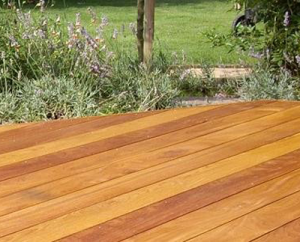 However stained or vanished timber require more care to keep them looking fantastic for longer. When you install new timber into the house you’ll see that there is nothing that looks quite as good as wood. However it needs to be protected as soon as possible otherwise it will take on moisture from the surrounding atmosphere and swell. Alternatively it can start to dry out and start to discolour. 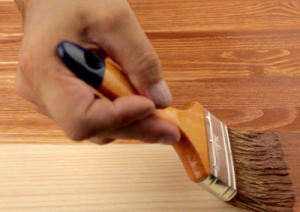 We can apply a range of different protective coatings from stains and vanishes to waxes or paint, in a variety of different finishes and advise which is best for the situation. Some areas require a more flexible coating than others. If your concerned about loosing the lustre of your internal timberwork we can offer you a regular maintenance programme. Following our initial visit getting your timberwork looking great, we can schedule return visits every two years to keep it up to scratch. We’ll quickly sand down any deteriorated areas and apply one or two coats of protective coating. Ask us about this facility when you Contact Us.